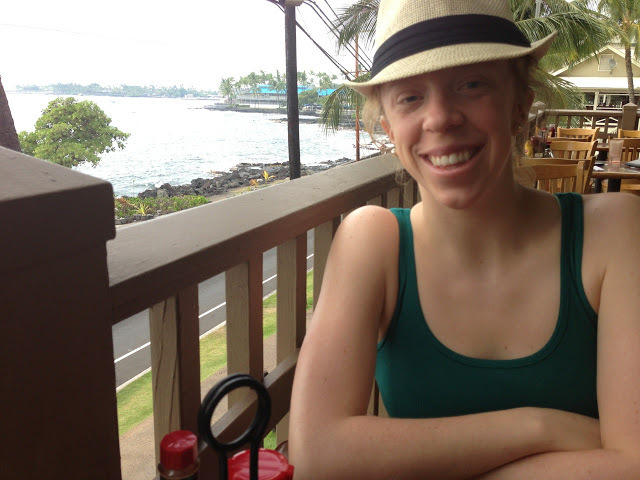 Lately, I have been trying to eat less and less meat. 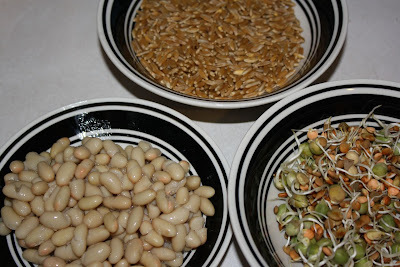 To still get the protein I need, this means eating a lot of beans and high protein grains. A grain I found recently is Kamut. Kamut is a trademark for a variety of grain called khorasan, guaranteed to have been organically grown and to never have been hybridized or genetically modified. Kamut is about double the size of regular wheat. 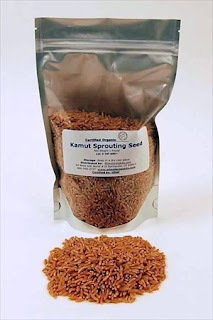 You can find more information about Kamut here. 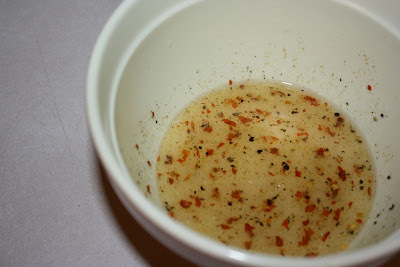 Inspired by Ashley's blog I came up with the following recipe. Please be aware that originally I did not measure out my ingredients. This recipe is very flexible. 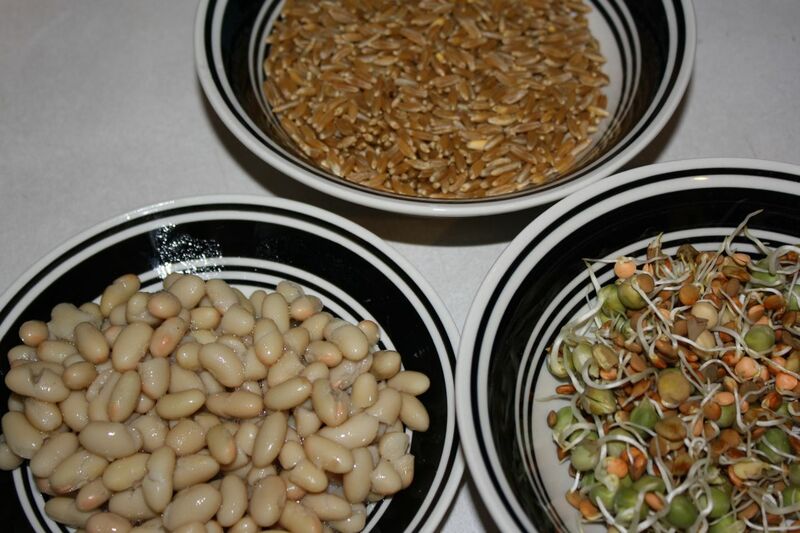 Feel free to add or substitute any other vegetables or beans you may have handy. 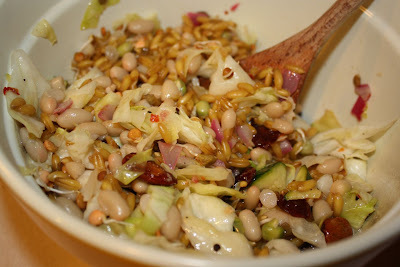 Please note that I kept cooking times low because I really wanted to bring out the texture and crunch in this salad. 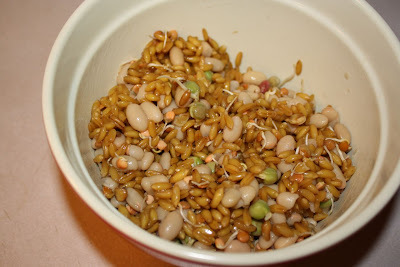 Combine the cooked kamut, white beans (drained) and bean sprouts in a large bowl. Set aside. Cook red onions in pan with 1 T olive oil and 1 clove chopped garlic. 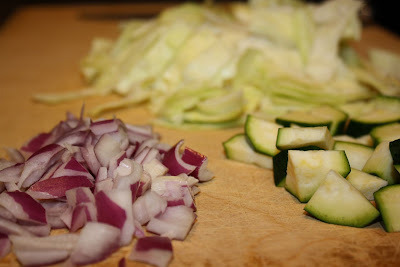 Add cabbage and zucchini. Cook for about three - five minutes on medium heat, being sure not to over cook. Turn heat to low. Add almonds and dried cherries. Stir. Prepare dressing in separate bowl by whisking together the above ingredients. 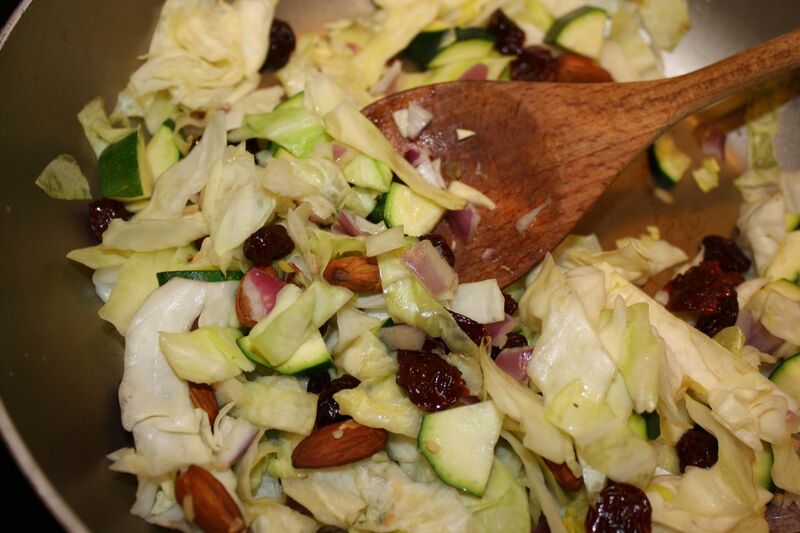 Add dressing to pan with vegetables, almonds and cherries. Let simmer for one - two minutes while stirring. Take off heat. Combine all ingredients in large bowl. Stir and let cool before eating. The High Protein Crunch Salad was refreshing, satisfying (left me full until dinner!) and kept the crunch I was aiming for. 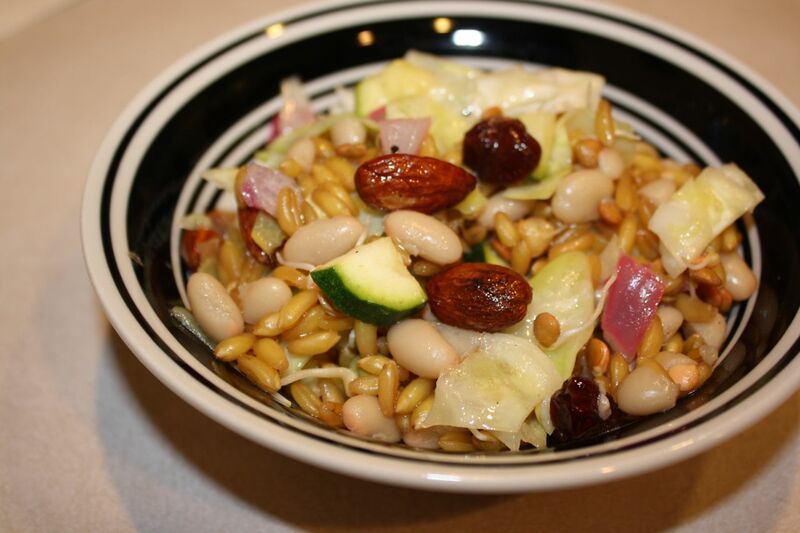 I was able to divide this recipe into about three servings and the salad was amazing to the last bite.